Pressure washing provides valuable benefits, from maintaining the value of your residential property to enhancing its aesthetic appeal. Whether your outdoor features are made of wood, concrete, brick or other hardscaping, power washing is an excellent method for restoring your property to its original glory. Dirt, mud, grime, mold, mildew and other environmental pollutants accumulate over time, causing damage to your decks, fences, siding, patios, driveways, gutters and more. Their appearance also becomes dingy, worn and unappealing. Pressure washing can take care of these issues and help bring back the color and shine your property once had. 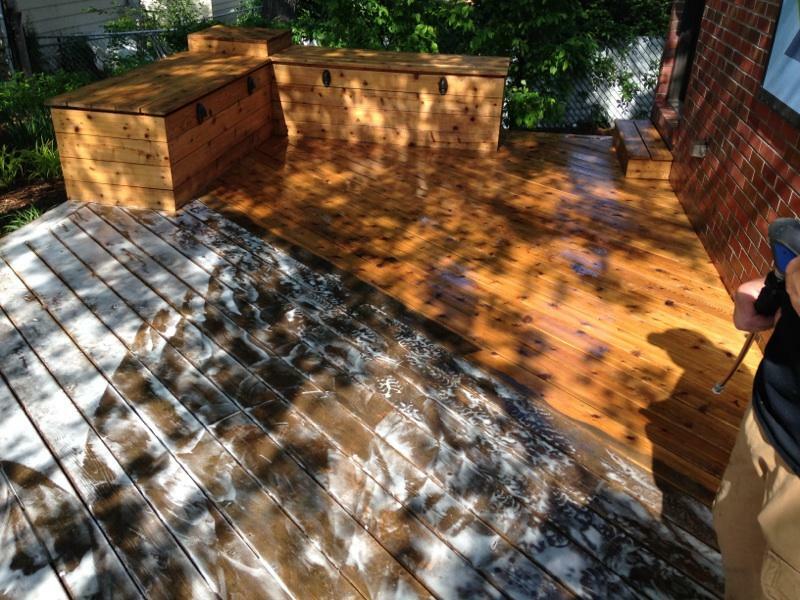 At Renew Crew of Lincoln, our pressure washing services feature a 3-step process that includes the use of environmentally-friendly sealants and protectants to ensure that your wood and hardscaping will maintain its deep clean and refreshed appearance. This anti-aging approach minimizes damage from the elements, such as fading from the sun and the excessive wear and tear of harsh winters. Pressure washing is an essential part of home maintenance and upkeep, but not just any wash will do. Cleaning your concrete, siding, and wood with blasts of extremely high-pressure water is no easy task, and an unskilled worker can do more harm than good. This makes DIY options risky, and can easily lead to property damage. This type of cleaning requires a skilled and experienced crew for an effective job that won’t leave your home looking worse than before. At Renew Crew of Lincoln, our professionals are fully trained and experienced in pressure washing. This is our sole focus. We are committed to quality service and customer satisfaction. Our proprietary 3-step process helps to ensure that your property isn’t damaged, and our eco-friendly products are safe for you and your family, pets, plants and surrounding landscape. Give us a call to receive a free estimate to make your home sparkle again.